This PCBA Board is assembled with FR - 4 made bare pcb board and the board thickness is 1.6 mm, copper thickness is normally 35 µm. 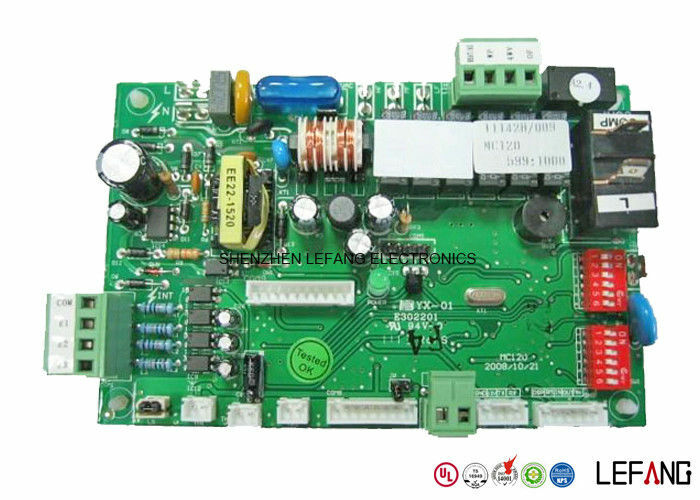 Leadfree HASL surface treatment make the PCBa work longer and more eco-friendly. We need Gerber File & BOM List to produce your PCBa assembly order. PCBA (Printed Circuit Board Assembly) is the board that mounting various components like resistors, ICs (Integrated Circuits), capacitors, transformers and any other components which depending on the application and desired characteristics of the board. PCB Assembly is a process that requires knowledge including PCB components, assembly, printed circuit board design and PCB fabrication; also you must have deep and thoroughunderstanding of the final product. Circuit board assembly is just one piece of the puzzle to deliver the perfect product the first time.